We are very proud to announce that our Morelands Trading Estate in Gloucester is now home to Europe’s largest indoor purpose-built skirmish site. Our new customer, an Airsoft game company, moved into the 52,000 square foot unit this spring. Its name, ‘Strike Force Close Quarter Battle’, is inspired by the business centre’s heritage, as it was originally the Old England match factory. Strike Force CQB is an indoor recreation centre built like a small village to imitate settings typical of today’s genre of computer games. The Airsoft game is similar to paintballing or Laser Quest but uses replica guns and plastic pellets, providing players with a more realistic experience. Company Manager, Paul Bibby, 37, left a career as an aerospace quality technician to pursue his dream and explains why the Morelands Trading Estate was the perfect fit. “We were looking for a huge indoor space to create our vision. Brothers, Paul and Stephen Clayton own the firm as well as ‘Swindon Airsoft’, an Airsoft equipment company based at Bizspace’s BSS House in Swindon and together we have about 50 years of experience in Airsoft gaming. For me, this is not work, it is entirely fun and I love it. “There was nothing in Gloucester like this and our recreation centre being the biggest in the world, outside of the USA, makes it a real tourist attraction. The unit in Morelands Trading Centre was a fantastic size and the centre had a real welcoming atmosphere. The Airsoft company offers a fun experience for people aged 11 upwards with its oldest player currently aged 67. Players can expect a warm welcome and provision of equipment, safety training and ammunition is included in the cost, with tea and coffee provided too. Previously an unused space, a lot of work had to be done to ready the unit for Strike Force CQB to be opened. A Gloucester resident herself, Jackie comments: “Gloucester is a fantastic place for regeneration and the perfect location for small businesses and start-ups to thrive. I was happy to work closely with the council to help Strike Force CQB offer something special in Gloucester to attract visitors to the region. 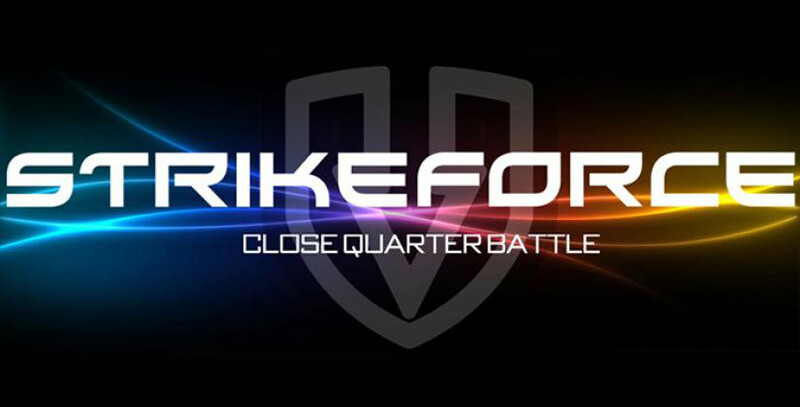 The official grand opening of Strike Force CQB will take place on 27 June 2015 and the company has secured its place as the host of the European Championship for the Airsoft Practical Pistol. This event will include around 100 participants, the majority of whom will be visitors to Gloucester, and see them compete over a weekend on 11-13 September 2015. Our Gloucester business centre is a real hub for the community and offers a range of business units that vary in size, catering for start-ups, small, medium or large businesses. Located near the Gloucester Quays Outlet, the centre has excellent public transport links and also offers free car parking facilities.If you need a business address, mailbox services are available, as well as a spacious meeting room for up to 40 people. To find out more contact Jackie Houslop on 01452 311 421.